The Ebola death toll stands at 4,922 deaths out of 13,703 cases worldwide, the World Health Organization says in noting signs of a slowing outbreak in Liberia. The Ebola death toll stands at 4,922 out of 13,703 cases worldwide, the World Health Organization says in noting signs of a slowing outbreak in Liberia. Dr. Bruce Aylward, WHO assistant director-general in charge of the operational response, gave the update to reporters on Wednesday before the latest official situation report was released for up to the end of Oct. 27. In Liberia, there are signs of progress, such as a decline in burial numbers and lab-confirmed cases that appear to have plateaued, Alyward said. That could be thanks to the right information getting to people to change their behaviour and protect themselves, as well as safe burials. "Do we feel confident that the response is now getting an upper hand on the virus? Yes, we are seeing slowing rate of new cases, very definitely," he told a news conference. While he’s confident of a slowing in the rate of new cases, the danger remains that the rate could oscillate up and down if, for example, unsafe burials start new chains of transmission, he warned. 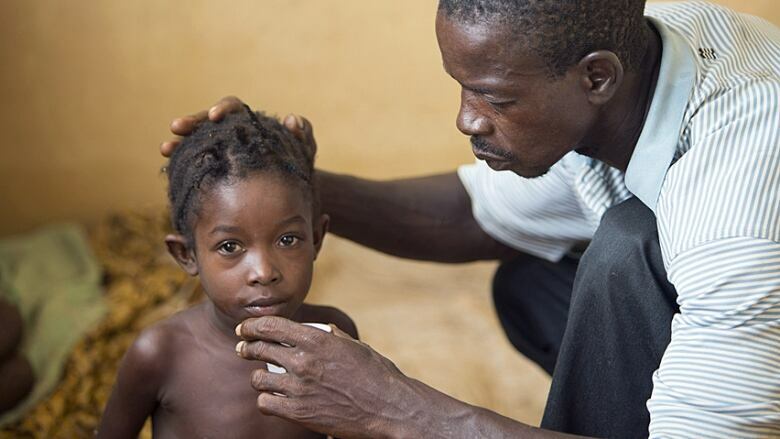 The number of cases in the worst-affected countries of Guinea, Liberia and Sierra Leone is 13,676. WHO attributes what looks like a jump in the number of cases to updated data on old cases that took time to reconcile. The WHO report said the marked increase in the total number of cases compared with last week's resulted from a more comprehensive assessment of patient data. In contrast, the seven-day rolling average has been steady at around 9,000 or 10,000 in recent weeks, he said. Aylward said this isn't the time to let up, and theinternational response needs to continue. "I'm terrified that the information will be misinterpreted and people will start to think, 'Oh great, this is under control,'" Aylward said. "That's like saying your pet tiger is under control or something. This is a very, very dangerous disease." The downward trend in Liberia is based on information on burials, admission and occupancy rates at Ebola treatment centres and reports of cases from all sources. "The capacity to capture a true picture of the situation in Liberia remains hamstrung by under-reporting of cases," WHO said in Friday's situation report. Victor Lacken, another spokesman with the Red Cross in Monrovia, said they've seen premature optimism in Liberia before when Ebola decreased in April and May. "In June, the situation exploded again. So it's like fighting a forest fire. If you don't put out all the flames, it has potential to reignite, and that's why we are not changing our strategy," Lacken said in an interview. Elsewhere, the outbreak is "burning quite hot" in parts of Sierra Leone, Aylward said. Mali's Ebola death last week illustrates that there are still lessons to learn. The case of an infected toddler wasn't detected before she travelled with her grandmother hundreds of kilometres by bus from Guinea via Mali's capital, Bamako, Aylward said. The case immediately raised questions about where else isolation capacity and personal protective equipment could be needed, which Malian authorities were attuned to, he said. A total of 521 health-care workers have been infected with Ebola up to the end of Oct. 27, WHO said. Of these, 272 have died.